Do you recall the sweet scene in “Encounter” where Song Hye Kyo gifted Park Bo Gum with an owl plushie, which she miraculously won on her first try at the claw machine? 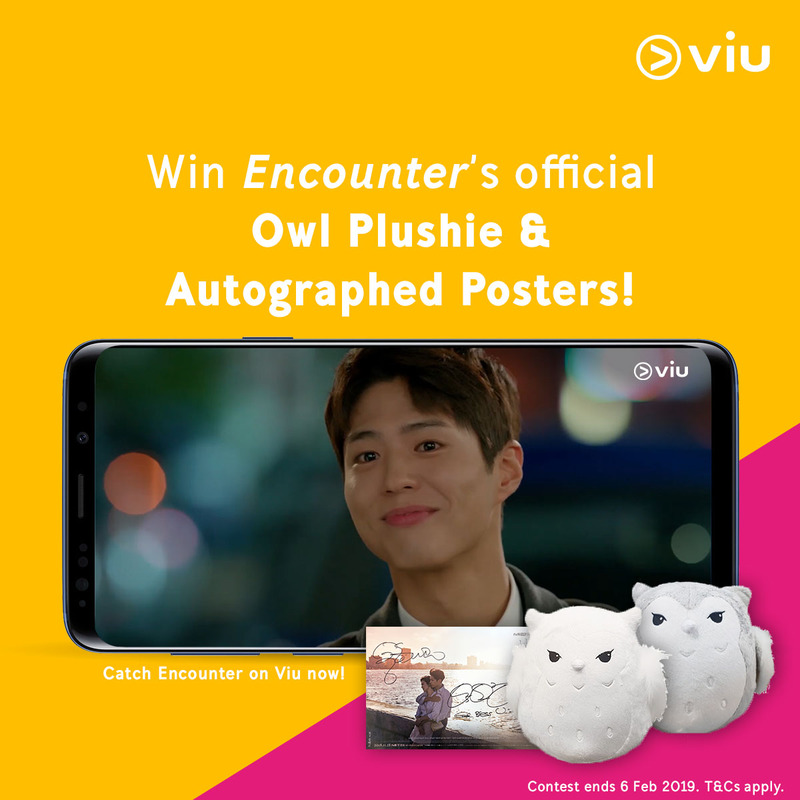 Thanks to Viu Singapore, 5 lucky Viu-ers can now walk away with their a pair of owl plushies and autographed posters signed by the romantic leads. Step 4: Fill in the Facebook contest form with your answer! Also, in case you would like to relive their romance before the finale episode lands on Viu this Friday (25 Jan), 4h after Korea, you may binge-watch Episodes 1 through 14 here.